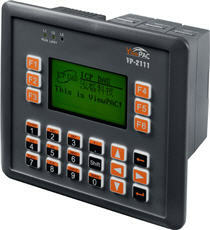 VP-2111 | C Language Based ViewPAC Programmable Controller with rubber keypad and MiniOS7 Operating System. IP65 Compliant Front Panel. C Language Based ViewPAC Programmable Controller with rubber keypad and MiniOS7 Operating System. IP65 Compliant Front Panel. The ICP DAS ViewPAC, VP-211x and VH-211x series has a 16-bit CPU, 128 x 64 resolution graphic display, silicon rubber keypad, Ethernet, RS-232, RS-485 communication ports and 3 I/O expansion slots. It also equips a DOS-like OS called MiniOS7. Users can develop programs, use C compilers to create 16-bit executable files (*.exe) then download it to the controller. Turbo C 2.0 or Turbo C++ 1.0.1 can be used to compile application programs and generate execution files. The execution files can be download to VP-211X and VH-211x via RS-232 or Ethernet port. We recommend Turbo C++ 1.01. 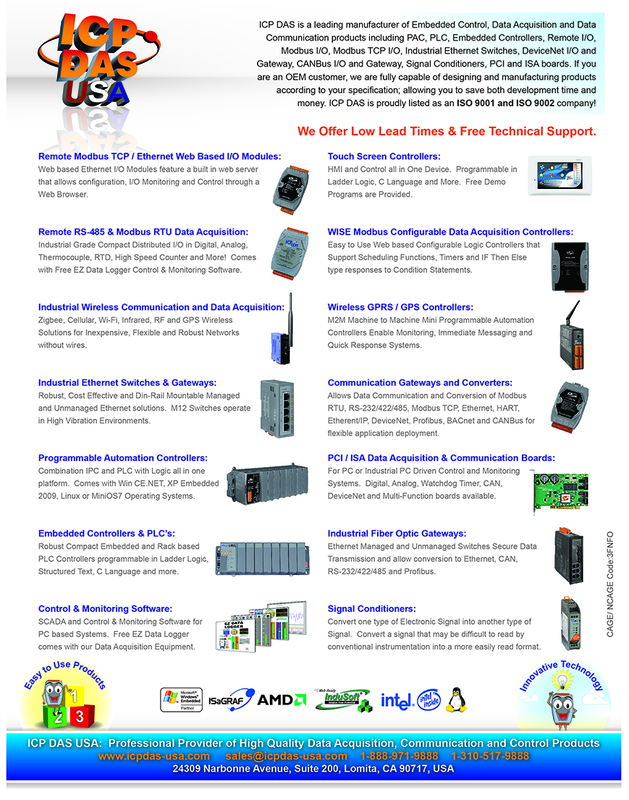 There are many demo programs available for reference. For TCP/IP programming, we provide a TCP/IP server template named XServer. It is a very powerful, easy use and flexible tool that can save 90% development time. 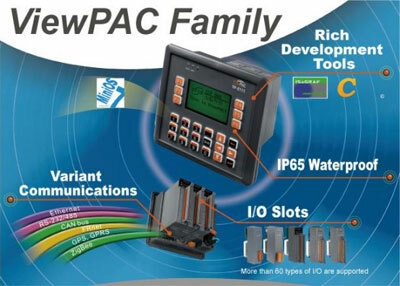 ViewPAC combines iPAC, a graphic display and keypad in one unit. It equips an 80186 CPU (16-bit and 80MHz) running a MiniOS7 operating system, several communication interface (Ethernet, RS-232/485), 3 slots to expand I/O modules, STN LCD and a rubber keypad. Its operating system, MiniOS7, can boot up in a very short time (0.4~0.8 seconds). It has a built-in hardware diagnostic function, and supports the full range of functions required to access all high profile I-8K and I-87K series I/O modules, such as DI, DO, DIO, AI, AO, Counter/Frequency, and motion control modules. Compared to traditional HMI + PLC solutions, ViewPAC reduces overall system cost, space and gives you all the best features of HMIs and PLCs.